One Electrical were awarded the contract for the Electrical and Control Systems associated with the new Hamilton South Reservoir Dedicated Supply Pipeline by GT Civil. 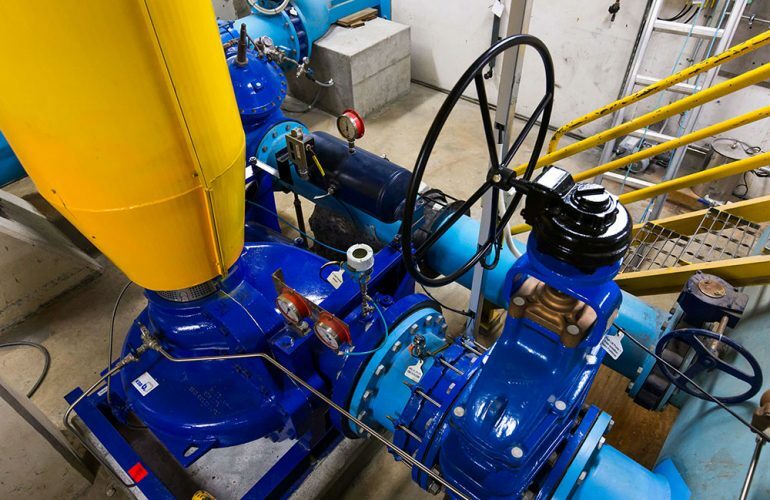 The project scope included an upgrade of the existing H1 High Lift Pump and Variable Speed Drive (VSD) from 200 kW to 400 Kw, and installation of actuators, flow and pressure monitoring. Under a separate contact, we supplied and installed a new 3000 Amp Switchboard, RMU and Power Transformers at the HCC Water Treatment Plant to accommodate the increase in load with the H1 Pump upgrade. From this Switchboard, we installed new cable support systems to facilitate the 400mm² Single Core Cables supplying the VSD’s. Our design ethos, as always is future planning so the cable systems we installed provided plenty of free space for future capital works projects. While it is important to ensure equipment such as Variable Speed Drives are set-up correctly, with high-load equipment it is crucial to get it right. For situations like this, our team engage manufacturer specialists to assist with pre-commissioning and commissioning of the equipment. Optimum set-up of parameters and tuning were run with the motor un-coupled and then again with the motor coupled and loaded. This provided peace of mind to our customer that equipment warranties are fully supported by the manufacturer. The specialists also set up the MCCB units to give the correct discrimination of the circuit protection devices. We created As-Built CAD Electrical Drawings for the new High Lift Switchboard, H1 Pump and associated controls as the existing documentation was limited and inaccurate. The As-Builts, equipment specifications, installation and user manuals and certifying documents are provided to the customer as part of our handover pack on completion of the project.